Colin's career as a country music artist speaks for itself with numerous country music awards and the best selling REAL HOPE already under his belt. With elements of country, folk, and even a little Van Morrison, this is a great new CD. 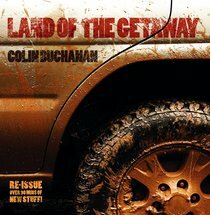 About "Land of the Getaway"